Bonjour ~ Visiting the Lot département is an adventure into the past. Untouched very much by tourism and modernization, it is village after village filled with charm, Medieval homes and churches,and often amazing ruins such as this one in Marcilhac-sur-Célé, the 9th century Abbey of St-Peter. We were among but a few visitors that day in September, and we wandered through the ruins and into the beautiful church, its walls covered in Medieval frescoes. This is a place not to be missed, and was suggested to us by our hosts at Mas de Garrigues in nearby Calvignac ~ a lovely and welcoming place to stay. Bonjour ~ We stayed two nights at Le Pavillon de Galon in Provence, which was not nearly long enough! Not only did we have great breakfasts on the sunny terrasse, but our room faced south overlooking their spectacular, award-winning gardens. 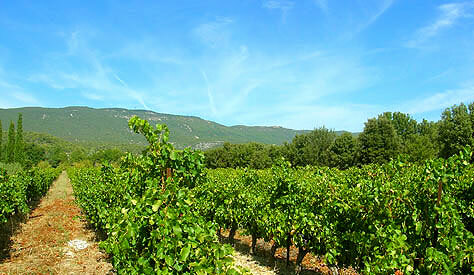 They now produce their own olive oil and wine, and their vineyards bask in the Provençal sun with the nearby Luberon mountains as a backdrop. Great weather and lovely hosts made our time here perfect! Bonjour ~ We looked forward to our return to the charming and historic city of Auxerre in Burgundy ~ not only for its fine churches and museums but to enjoy the calm and beauty of the gently flowing River Yonne. With city bridges overflowing with flower boxes, boaters sailing beneath us as we crossed, and views of the surrounding Burgundian countryside for contrast, we walked for hours. Meals taken in the old part of town were delicious, and we proved that you can 'come home again' and not be disappointed in any way ~ as long as you are returning to Auxerre. Bonjour ~ On a bright, sunny day in the Loire, we ventured out to visit the Gallon-Roman ruins at Thésée, the most important in the département of the Loir-et-Cher. 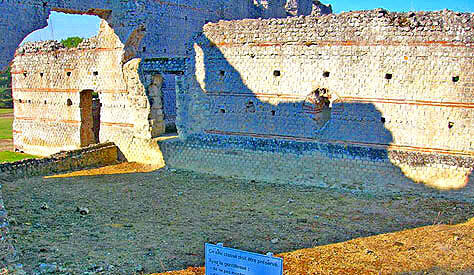 Courses of bricks laid in the second century AD are a testament to the skills of the stone masons of the day. We learned that it was originally called 'Tasciaca', and the settlement was a center for ceramicists on the road between Tours and Bourges. The village of Thésée's Musée Archéologique houses jewels, pottery and coins taken from the ruins. Bonjour ~ If you must wait for your train's departure in any of Paris' railway stations, the Gare de Lyon is the place! 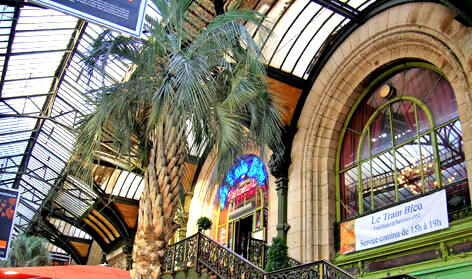 You can sit on a bench and gaze up at the great Belle Epoque restaurant, Le Train Bleu. Built in 1900 for the Universal Exhibition along with the Petit Palais, Grand Palais, Pont Alexandre III and the Gare de Lyon itself, many of its dining rooms and lounges were classed as historic monuments by André Malraux in 1972. With its beginnings as a buffet for hungry travelers, it has evolved into a sumptuously decorated fine dining establishment that (its web site says) is a "feast for the eyes as well as the stomach". Bonjour ~ It's one of several gorgeous days we've enjoyed Provence's Hautes-Alpes département ~ here we are looking across the Lac de Serre-Ponçon toward the town of Embrun on the opposite shore. 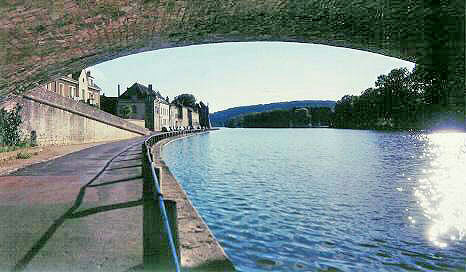 The lake is one of the largest man-made lakes in Europe and is about 20 kilometers long. After two days and nights at the truly incredible Château de Picomtal, which has fantastic views of the lake and alps, we must depart to continue our trip north to the Rhône, but not without some very happy memories to take along. Bonjour ~ We have discovered the most delightful hill village in the Tarn. It is Lautrec, south of Albi and one hour northeast of Toulouse. We found the perfect chambres d'hôtes facing the Place du Monument ~ a village manoir that has a classical French garden at the rear where you can sit under a grape arbor and look over the ramparts to the countryside beyond. 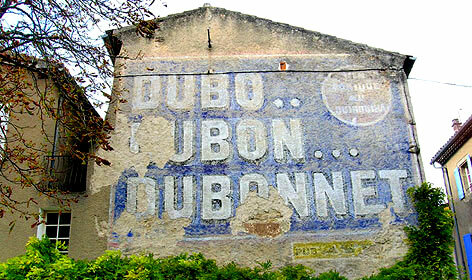 Also facing the Place is this very old sign, reminiscent of the Dubonnet jingle of decades past: "Dubo....Dubon....Dubonnet". We couldn't resist taking this photo knowing that one day the sign may well be completely gone. 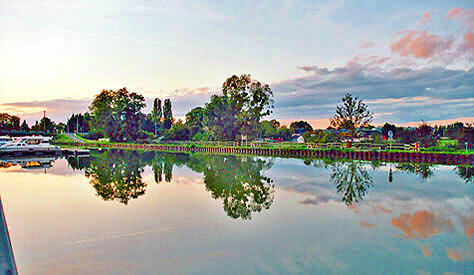 Bonjour ~ We have been relaxing and enjoying a few days aboard the Alphonsia Maria péniche as it silently cruises the incredibly lovely Canal Latéral à la Loire in the départements of the Cher and Nièvre. Our time on the boat has been a pure delight: lovely stateroom, excellent cuisine, and hosts that could not be more welcoming and kind. A photographer's dream, the cruise has offered many opportunities such as several watercolor sunsets ~ this one at Plagny where we docked for the night. We will never forget our time on the Alphonsia Maria ! Bonjour ~ We discovered the wonderful village of Mortemart - one of the Most Beautiful Villages of France - with its 16th century covered market and beautiful old church. 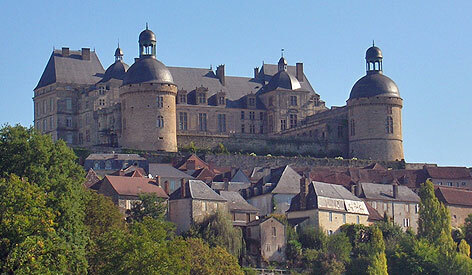 The main attraction is the Château of the Dukes of Mortemart, now used for functions and exhibits. We especially enjoyed walking behind the château around the 'moat', which is really quite a large pond with several swans. 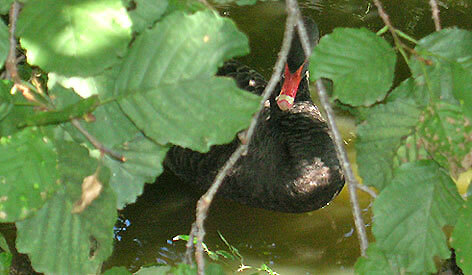 Among them was one black swan who paddled to hide beneath some greenery at the edge of the water. That's when we snapped this pictured of him (or her) ~ a lovely memory to take away with us. Bonjour ~ What a wonderful little city! We're not only enjoying the lovely seaside (with magnificent views from our windows at Villa le Goëland), but the bustling streets as well ~ upscale shops, lots of restaurants and brasseries, superb architecture (the Hôtel du Palais was once Empress Eugénie's villa), the Casino and the fine Sainte Eugénie Church in this photo. It's no wonder that Biarritz, with its distinct personality and great location, was named "Queen of Beaches and the Beach of Kings". 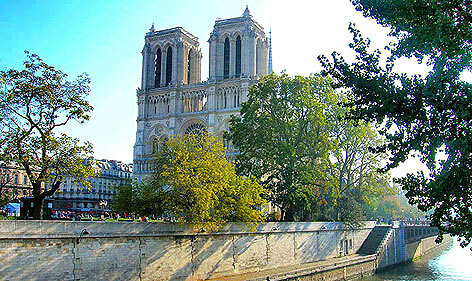 Bonjour ~ Paris is synonymous with art, and it isn't just found in the museums or galleries. From fashion trends to the preservation of its rich architecture, Paris ~ and France as well ~ gives viewing pleasure at every turn. 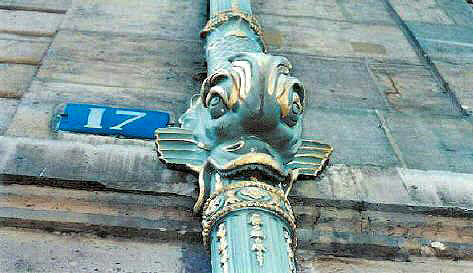 Apparently, the practical and functional should not go unadorned either, thus this excellent example of turning a common rain down-spout into a stylized fish. Trimmed in gold, this attraction is found on the city's famed Île Saint-Louis at the Hôtel de Lauzun, 17 quai d'Anjou and reminds us that beauty can be created in almost anything! Bonjour ~ Driving north toward Chauvigny on the N147 along the River Vienne brought us to La Tour au Cognum near Civaux, a commune of Lussac les Châteaux. We drove across the Vienne to a small family park to get a better photo of the château - the tower in ruins - which dates back to the 12th and 13th centuries. The river brought the Romans here, but the region is filled with a wealth of prehistoric artifacts and evidence of the Neanderthals who preceded them. This little detour also gave us an up close view of the Civaux Nuclear Plant, whose towers were releasing steam into the air - it brought us back to the 21st century! Bonjour ~ After driving up a narrow and winding road 2.5 kilometers to an altitude of 219 meters, we reached the 'Col de Crayssac'. Two couples, one with small children, were gazing over the rail fence at the breathtakingly beautiful Lot Valley. 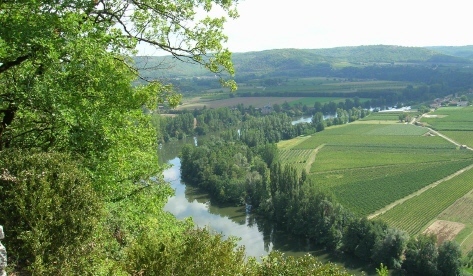 We parked and joined them to happily discover this phenomenal panoramic view of the River Lot wending its way past a patchwork quilt in shades of green. A tour boat entered the scene from the left, and as they passed we waved to them, and they returned the greeting. This stop was a lovely diversion and a great photo opportunity! Bonjour ~ It isn't only in the small towns and country villages where one can find the bounty of fresh produce and other delightful farm products at outdoor markets. 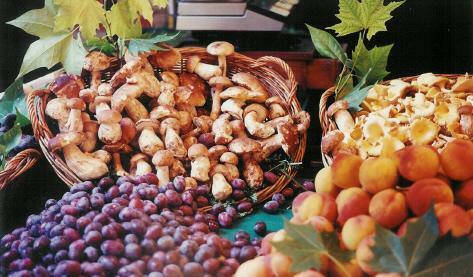 This scrumptious display of mushrooms, olives and peaches was at a lovely morning market in the heart of Paris! 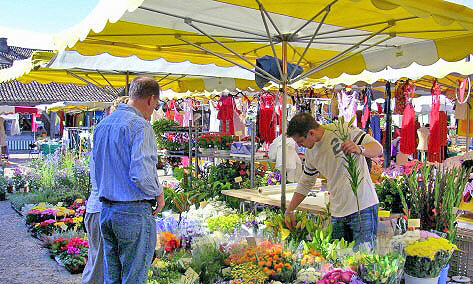 Farmers and other artisans come into the city before dawn to set up their stalls and artfully display their wares. We pointed out plums and peaches to the vendors, and they obliged us by putting our selection in little sacs for us to take on our way. It was all we could do to resist taking a photo of every stall! Bonjour ~ Our drive from the Corrèze to the Dordogne took us past the amazing Château d'Hautefort, built in the 17th century on the site of a 12th century fortress. In the 20th century, it was purchased by a Baron and Baronness who spent four decades restoring it. The Baron died before the renovations were completed in 1968 ~ tragically, that same year, it burned to the ground! The Baronness completely restored it again, and today it is a magnificent tribute to them and their love for this monument. Visitors can enjoy the French, Italian, topiary and other gardens as well as visit the château itself on certain days of the year. Don't miss it! not far from the Eiffel Tower. 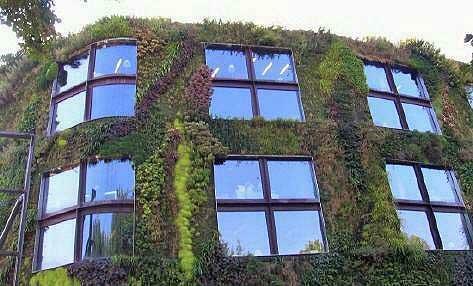 Its very unique façade is covered in 15,000 live plants of 150 different species on a vertical surface of 800 square meters and is called 'Mur Végétal'. The plants are from Japan, China, the United States and Central Europe. 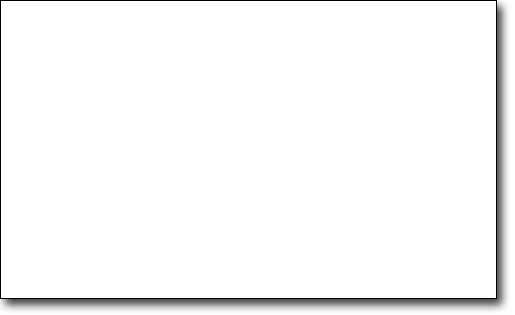 We've never seen (or imagined) anything like it! Bonjour ~ This view is from the promontory, Rocher des Doms, in front of the Popes Palace. Especially pleasant is the Musée du Petit Palais, the building in this photo, with the wide and impressive River Rhône below. It was once a cardinal's residence but now houses 600 sculptures and some 60 paintings, including 15th century works of the 'Avignon school' and priceless 13th-16th century Italian paintings. 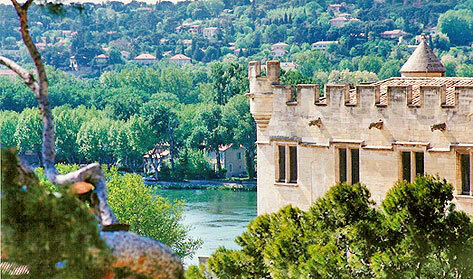 Across the Rhône is Villeneuve-les-Avignon, a residential area designed by Philippe-le-Bel and where, by the 14th century, cardinals lived in grand homes. 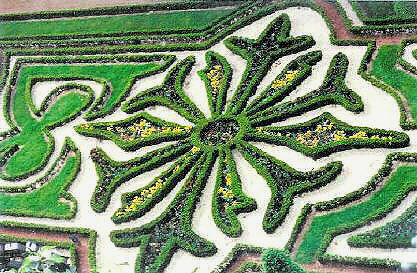 Bonjour ~ This carefully sculpted garden reminds us of the gardens at Château Villandry in the Loire Valley. Here on the River Maine is the enormous Château d'Angers ~ open to the public for not only viewing the Moat Gardens like the one above, but Millefleurs tapestries, the Logis du Gouverneur and the Roi window, as well as formal gardens and Chapelle Ste-Geneviève. We were lucky enough to arrive as a wedding party was coming out into the courtyard from the chapel, the bride's dress flowing and everyone enjoying the occasion. We did as well! Bonjour ~ Seen from miles away, the massive Château de Biron is perched high upon a hill in this tiny commune - dominating it in a most pleasant way. Open to the public, this Monument Historique dates from the 12th century and has belonged to the commune of Biron since 1978. 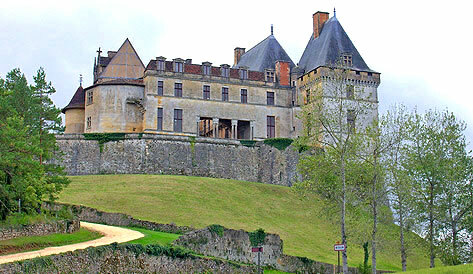 Visitors may choose to have a guided tour of the château or proceed on their own to explore it. Either way, it is an enjoyable and interesting experience. We highly recommend staying at Le Prieuré du Château de Biron a few steps from the château - a lovely bed and breakfast and an exceptional place to enjoy your time in the Dordogne. Bonjour ~ from Burgundy's Yonne département. 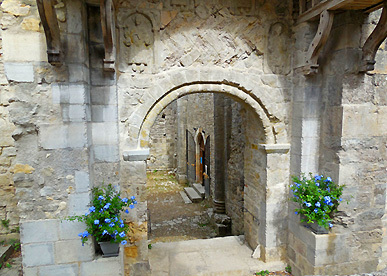 We explored the region near Château de Resle where we have been staying ~ a fine château with great hosts ~ visited Pontigny Abbey, drove from one small village to another, and finally took a dirt road that promised to lead to an old Roman bridge (which we did not find!). Happily, we met these two charming locals along the road. As before, we have always found the cows of France to be exceptionally curious and friendly, and these were no different. 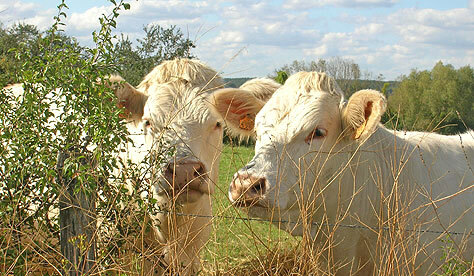 They approached the wire fence to get a closer look at us and to pose most kindly for a photo! Bonjour ~ On this beautiful September day in the Dordogne of southwestern France we are in Monpazier, founded in 1284 by the English King Edward I. 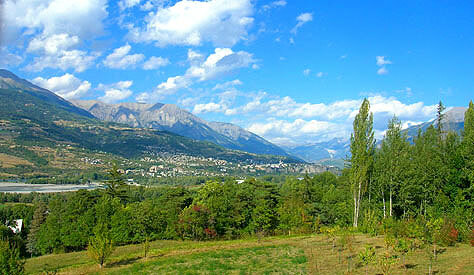 During the reign of King Charles V of France (1366-1380), the town became French. 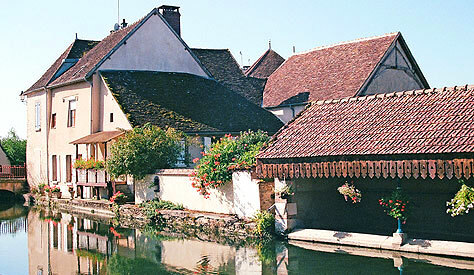 The bastide of Monpazier is a National Heritage Site and claims to be the best preserved bastide in the Dordogne. Place des Cornières, the location of the market offering flowers, fresh produce, clothing and regional delicacies, is surrounded by marvelous 17th century houses, and the streets of town are on a perfect grid. Bonjour ~ This church, originally 2 joined by the belfry, was completed in 1173. The controversial 1852 restoration, by architect Paul Abadie who preferred redesigning to restoring, was not well-received in the Périgord. 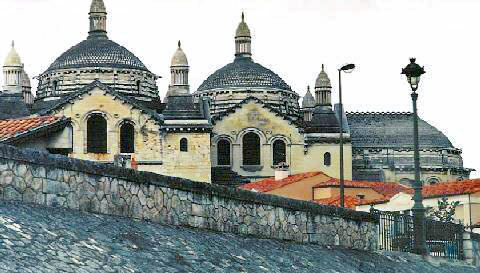 He even removed the Romanesque refectory. The museum now houses those original carvings. Byzantine inside and out, it became the model for Sacre-Coeur in Paris ~ a commission Abadie received shortly after St-Front's completion. 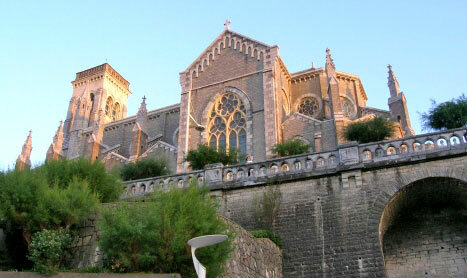 By the way, the old town surrounding the cathédrale is a medieval and Renaissance treasure! Bonjour ~ We adore Burgundy! 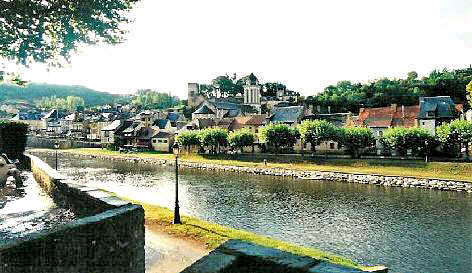 We've had some wonderful experiences here, and our visit to Villeneuve-sur-Yonne is certainly going to be one of the most memorable! It's a unique and lovely small town, ideal for strolls. We stayed a few feet from its beautiful river at Leslie Caron's auberge "La Lucarne aux Chouettes" (The Owl's Nest) where we had a delightful room (there are only four) and dinner in her very special restaurant. 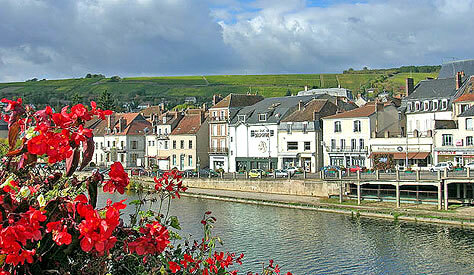 The enchantment of the River Yonne, however, is the icing on the cake. We shall come back again! Bonjour ~ It's a beautiful Sunday in Paris, and we decided to attend the International Mass. The church was filled with tourists who were given limited access along the side aisles, as the center was reserved for those attending Mass which was delivered primarily in French. This photo gives a somewhat different perspective of the cathedral which is usually photographed from the other side. It is a beautiful sight along the River Seine, and we are sad that this is our last day in Paris. Bonjour ~ It's a lovely afternoon here in Montignac following a rainy morning which was perfect weather for our going underground to see the cave paintings at Lascaux II. most prehistoric sites, is luminous in the afternoon sun. 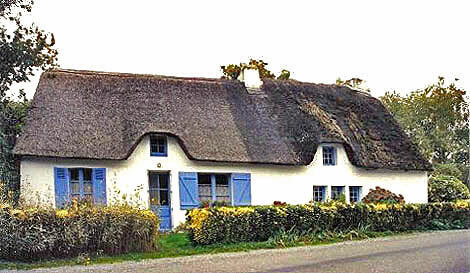 Bonjour ~ Along a country road, as we headed for Rochefort-en-Terre, we came upon this classic Breton cottage, complete with thatched roof. We continue to return to Brittany, enchanted by its warmth, charm and quaint villages. The Bretons are a sturdy people and that translates into the solid little houses they have built throughout the region ~ many displaying not only a distinct architectural style but also making very good use of the local granite. This pretty house is most likely much larger on the inside that its modest exterior suggests ~ and we adore it! Bonjour ~ While exploring the countryside and towns near Château de Resle where we were staying, we came to Ligny-le-Châtel, a pretty village on the River Serein. 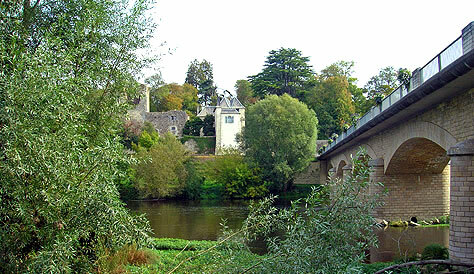 Here are buildings on the edge of the river ~ the one on the right served as a lavoir, where ladies in days gone by came to wash their laundry in the river by reaching over the stone shelf which was about waist high. Lines were provided behind them to hang items to dry ~ the back of the building is partially open to let air move through. Today, mannequins are in place to represent the ladies at work.